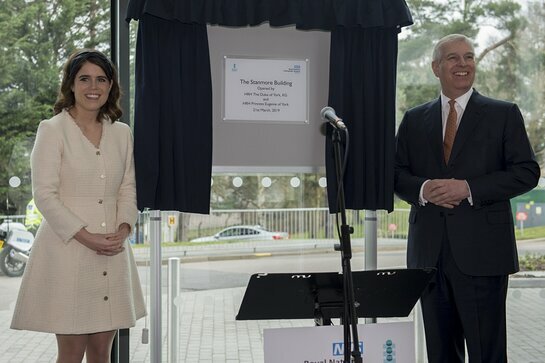 The Duke of York and Princess Eugenie visited the Royal National Orthopaedic Hospital last week. Last week’s visit started with a viewing of ‘The Tribe’ art installation. The artwork features 50 faces which have been turned into silhouettes and made into striking 3D shapes, the art is a play on the war-paint of tribes. Princess Eugenie is included in the work, which also includes 50 people connected to the hospital– workers, patients, nurses, luminary, cleaners, visitors, caterers – everyone who makes the hospital run.